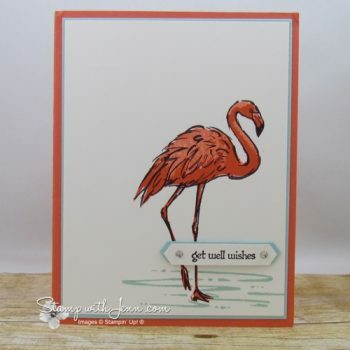 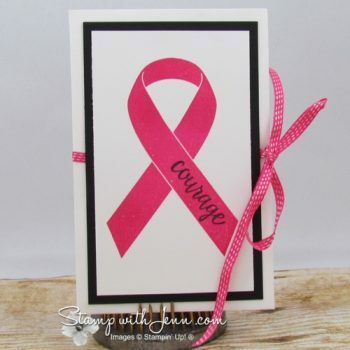 Love this get well card I got from Wendy Fee using the Fabulous Flamingo stamp set. 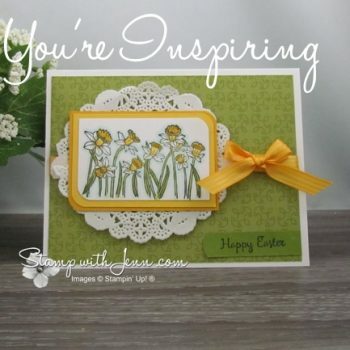 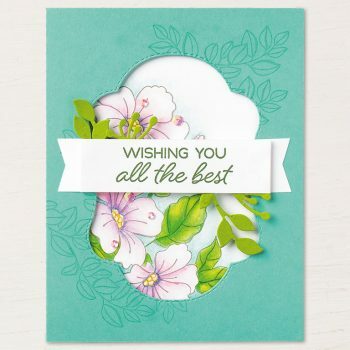 Love the bright colour scheme on this card using the two-step stamping set. 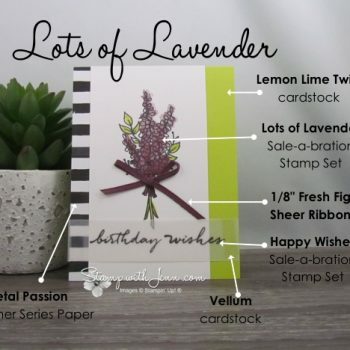 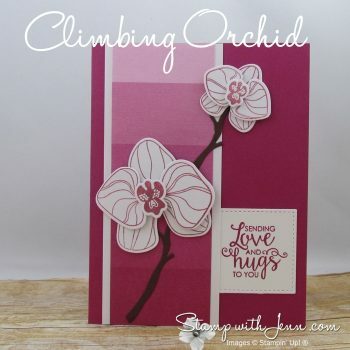 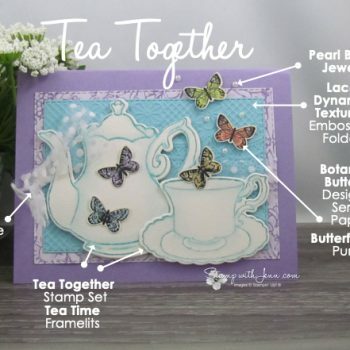 New stamp set the “Climbing Orchid” has matching dies and is available in a bundle. 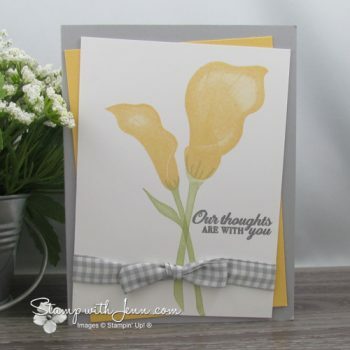 Love the monochromatic look on this get well card. 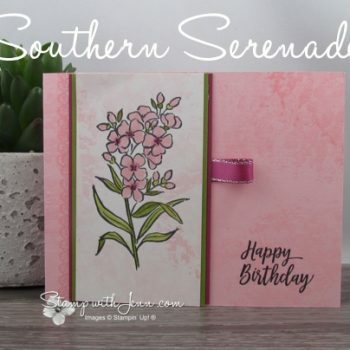 Made by Laura Seki of Hamilton.